As the White Sox inched closer to the .500 mark (16-17) with their impressive 5-0 victory over the Royals last night, they did it with a solid team effort, a dynamic we would love to continue. 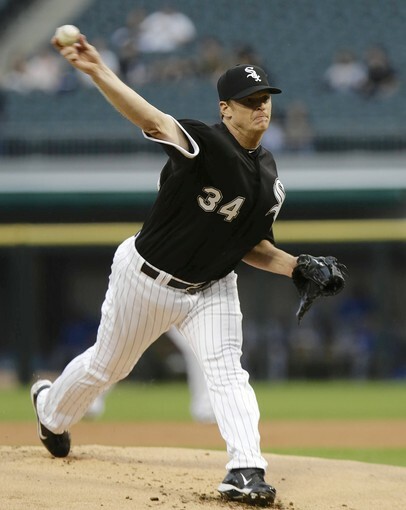 * Gavin Floyd, who recorded his third victory with 7 2/3 of shutout baseball. He allowed just five hits and two walks while striking out five as he lowered his ERA to 2.53. 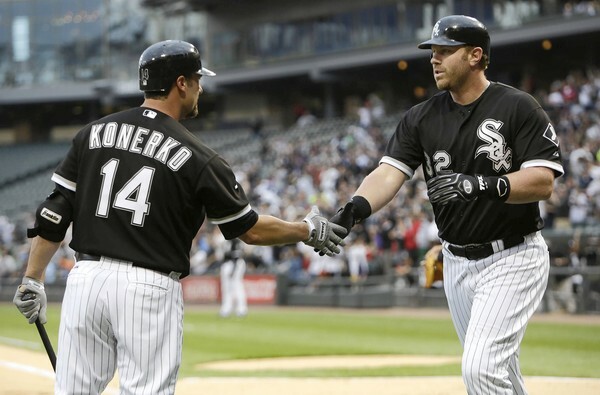 * Adam Dunn, who gave the Sox an early 1-0 first innning lead with a towering homer, also doubled and walked twice as he ended his major league record of most consecutive games with a strikeout at 36. Dunn now has the same number of home runs he had ALL of last season (11), 26 RBIs and with a .257 batting average is hitting about 100 points higher than his final 2011 figure. Add a .401 on base percentage and a 1.030 OPS and can you say Comeback Player of the Year? 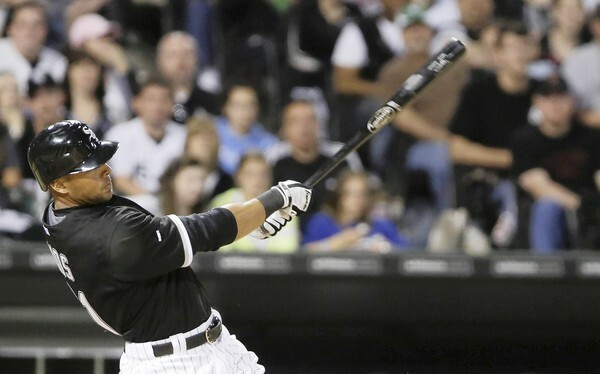 * Alex Rios, now batting .284, drove in the fourth and fifth Sox runs with his third triple of the season. While the Sox ultimately didn’t need the runs, the fact they were on the board made things much more relaxed when the Royals loaded the bases with one out in the eighth. Alejandro De Aza continued his hot streak with a pair of hits, an RBI and a run scored…Gordon Beckham, making his own comeback, also had a couple of hits, an RBI and a run scored…Matt Thornton struck out K.C. phenom Eric Hosmer with the bases loaded in the eighth…Hector Santiago pitched a perfect ninth with a strikeout to end the game. Sox Note of Note: After a clean MRI, Chris Sale is back in the rotation. The new closer? Maybe Addison Reed, maybe a committee in the short term. I’d love to hear your thoughts on the whole Chris Sale situation. In the rotation, to the bullpen because of a sore elbow, agent complains Sox are hurting his client, Sale wants to start, MRI is clean, back to the rotation. Is there something going on behind the scenes??? ?